The 2007/8 financial turmoil hit many long-term carry traders hard. To cap it all, at the tcime the financial press was full of stories declaring the “death of the carry trade”. But as is often the case, those brave enough to invest precisely at the time of maximum fear, made spectacular returns in the recovery period – both in capital and interest (see chart). There’s no question that there are challenges to long-term carry trading strategies at the moment. First, we are still in a period of relatively low global interest rates (see carry rates). And secondly, with geopolitical risks rising, China’s economy looking set to slow down, and weaker commodity prices, the near term prospects for the high yields like the Aussie and New Zealand Dollar are looking distinctly uncertain. 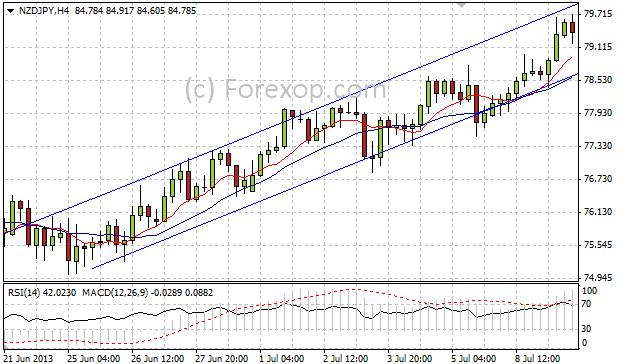 The Aussie and New Zealand Dollar, verses Japanese Yen are at the top end of their historical trading range. From a technical viewpoint, both the Aussie and New Zealand Dollar, verses Japanese Yen are at the top end of their historical (20-year) trading range. All this means the “buy and hold” carry traders have above average exchange rate risks to deal with, combined with a relatively low yield. In this type of situation, a more cautious strategy for carry traders is not buy-and-hold, but rather a short term strategy of well timed entry/exits. 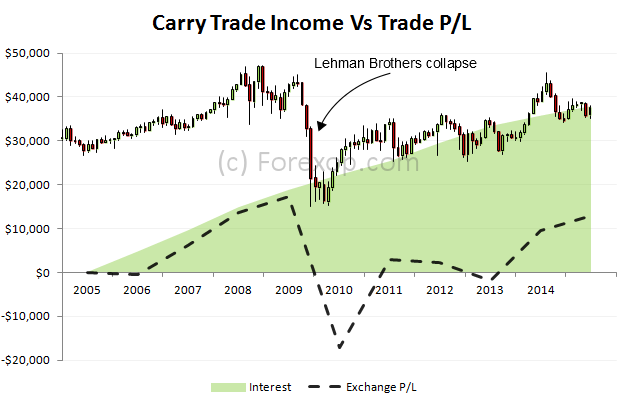 In this way, the carry income is captured, incrementally – albeit at the cost of higher trading frequency. 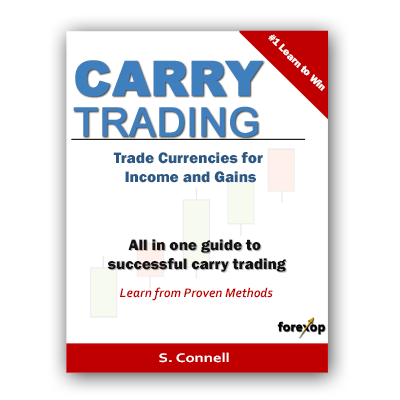 The basic aim of tactical carry trading is to place short-duration trades in the direction of carry interest. In this way, a series of smaller fractional entries are used to build up a position. The position is unwound at or (ideally) before a trend reversal occurs. With this trading system, we don’t commit to any longer term positions. 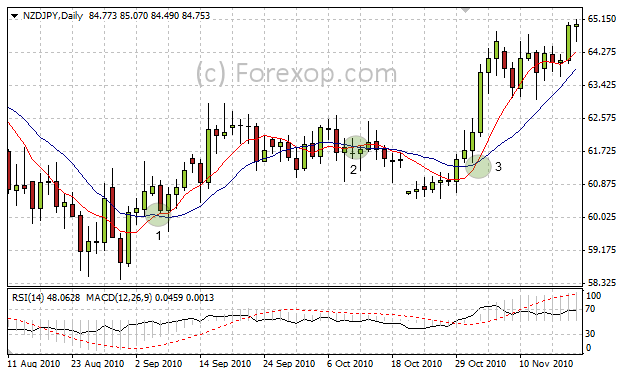 So rather than being overly concerned with the interest rate outlook and other fundamentals, in the tactical carry trade the near term technical outlook of the currency pair is key. For example, here’s a trade sequence on NZD/JPY. 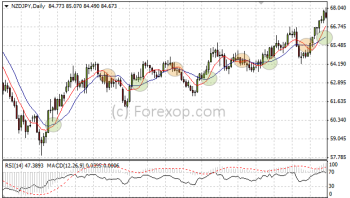 The daily swap rate for long positions on this pair is currently 0.59 pips. This means, at the going rate when we buy one lot, we accrue 0.59 pips each day in interest. If you need a refresher on the basics of carry trading, and understanding swaps/rollovers please check out last week’s article on forexop: The Forex Carry Trade: A Primer. The table below shows a short trade history. In this example, the trades resulted in a net exchange rate loss of -2.00 pips. But when taken together with the interest, the overall gain was 11.57 pips. What this shows is that even a small interest rate advantage can go some way towards offsetting exchange risks and trading fees. When there’s a large differential, carry interest does quickly accumulate and can tilt the outcome in favour of the trader. This is why carry trading is an essential strategy for new traders to learn. For the “buy and hold” carry trader, the bottom line is the net interest rate yield on the currency pair. When a trade is held for weeks, or months, the trade spread – which is only paid once – becomes negligible in proportion to the interest payments – which are paid/received daily. When you have a shorter time horizon, things are a little different. You have to take into account the trade spread as well. With frequent trading, this becomes a major component of your overall trading costs, especially if the spread is wide. If you don’t take this into account you’ll soon find the interest is swallowed-up by broker’s fees. I find an easy way to choose the timeframe is to work out the trade spread in terms of “interest days”. To do this, simply divide the average spread by the daily swap value for your currency pair. Make sure these are in the same units though! What this means is we need to hold the trade at least 9 days (on nightly rollover) for the interest to cover the trade spread. So with this set up, we should aim to trade around a holding period of at least 1 week. For this timeframe, the 4 hourly (H4), daily (D1) and weekly (W1) charts will be the most useful. But the daily chart will be the primary trading timeframe. The Excel spreadsheet below will calculate these values for your trading parameters. Instead of trying to time an exact entry level for your trade, a more realistic method is to use what’s called multiple entries. Basically this means splitting your trade up into smaller pieces and entering the market at different levels. There are a couple of advantages to doing this. Firstly, having your trading position split across different levels means it’s less likely all your stops will be hit. If you have your stop sitting at one level you are very vulnerable to sudden spikes in price or spreads – or just random market noise. Secondly, entering multiple trades means your entry price is averaged over a range of different levels. This helps to flatten out any extremes that can happen when entering with a single trade. Say you’ve done your risk management and you calculate that your maximum exposure on any given trade should be 10 lots. When you enter the market, you should then aim to divide your 10 lots across a range of price levels. This is what’s known as a grid system. Both the hedged grid and anti-martingale work well in trending markets. With both these systems, trades are entered systematically once certain price levels are reached. With anti-martingale, the whole position is closed (or halved) when pullback to the last stop level occurs. The advantage of this is that losers are cut very quickly, while winners are left to ride as long as the trend continues. This is useful for momentum trading. With a discretionary system, traders use their own judgement. The entry and exit levels are decided ad lib by the trader (or algorithmically) on considering a range of factors. With a tactical carry strategy, the position is built-up when the price is trending in the carry direction. Let’s now look at technical indicators to pick up these events. The indicators I prefer to use in this scenario are a combination of RSI, MACD and the moving average lines. In the charts below, I’ve used moving average lines with periodicity 8 and 14. Other settings will work. But if you choose too high values, what happens is the moving averages tend to lag too far behind the other indicators. If you’re going short, just reverse the above test – use RSI and MACD to identify overbought levels, and wait for a downside crossover to confirm downward momentum. The RSI and MACD usually appear first and the crossover occurs afterwards (see Figure 1). Because of this, the RSI and MACD are used as an initial entry signal. I usually open the position at this point. If these are followed by a crossover, the position is increased, otherwise it’s held. Build up the position as the trend develops • Once the initial trade is open, I follow the momentum in the trend using a double up or single up system. Generally, I unwind the position on the downward crossover of the moving average lines. This is less subjective than using the RSI and MACD. Caveats • Before committing to any position it’s always best to at least “eyeball” the charts and indicators in several timeframes. This will show the “bigger picture” and allow you to gauge if there are any key support or resistance levels, wider trends or other chart patterns that may alter your decision. Any nearby big figure can also disrupt and potentially reverse the trend. Make sure you’re aware of any critical data releases impacting your currency pair too. Data releases can throw a massive spanner in the works of your analysis. So make sure you prepare for them (read more). If you look at the chart below in Figure 1, this shows an example of how the indicators mark the trade entries and exits. At the first entry point, both RSI and MACD are indicating a deeply oversold market. But the crossover of the moving average lines doesn’t happen until several days later when the uptick happens. The trade entries are shown by green circles, and the exits are in orange. So in this case, we enter the trades as follows, using leg size 100 pips. The trades are closed on the downside crossover signal, at level 62.65. When the dominant trend is running against your carry direction, there will nearly always be tradable short or medium duration reversals or “swings” in the opposite direction. The swings offer good opportunities for a tactical carry trader to capture small, but incremental gains – both in interest and price. The same entry indicators can be used to detect these events. The chart below shows the situation in a typical consolidation phase. Points 1 and 3 indicate clear entry signals. The second point however is ambiguous. This is caused by whipsaw price activity. There’s an upward crossover but the RSI and MACD are giving mixed signals. In this case, the position isn’t entered until a clearer signal is obtained at point 3. To help disambiguate these situations, you can either check visually or use other momentum indicators to confirm that there really is a developing trend rather than sideways movement.